Chelsea made it four Premier League wins in a row and moved to within one point of top spot with a 2-0 win over Southampton at St Mary's on Super Sunday. Eden Hazard netted for the third league game in succession before Diego Costa curled home a sumptuous second to end Southampton's eight-month unbeaten run at home. Hazard has now scored more goals (5) in this Premier League season than the last campaign (4), while Costa is now the leading goalscorer in the league with eight goals. Since being dispatched 3-0 by Arsenal and switching to a back three, Chelsea have taken maximum points and kept four consecutive clean sheets. The victory moves Antonio Conte's men into fourth place on 22 points, just one point off Manchester City, Arsenal and Liverpool, who are all level on 23. 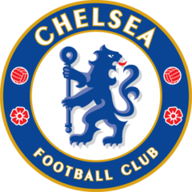 Conte decided to keep the faith with the same team that rampaged past Manchester United last weekend while Ryan Bertrand returned for Southampton in their only change from the 1-1 draw at Manchester City. It took just six minutes for Hazard to break the deadlock. He darted into space down the right-edge of the box and cut back inside Steven Davis, before rifling a low drive through the legs of Fraser Forster, who will be disappointed he didn't keep it out. From that moment, Chelsea's defence took over as they sat deep and soaked up Southampton's dominance of the ball. Nemanja Matic and N'Golo Kante broke up play excellently as the Saints struggled to break through a well-organised defensive unit. Chelsea should have gone in at half-time two goals to the good but Costa fluffed his lines when one-on-one with Forster after Matic had won the ball back on halfway. Costa did get his goal on 54 minutes - and it was a beauty. The striker dropped deep and picked the ball up about 25 yards out and curled home a stunning effort into the far corner. Chelsea could and perhaps should have made the victory more convincing. Pedro and Costa both squandered brilliant openings from close range, while Forster had to be alert to palm away a Hazard effort. 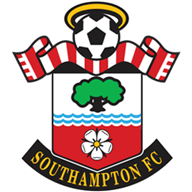 Southampton's biggest threat was always posed by Charlie Austin but he should've done better on 69 minutes but he planted a header over the crossbar from 12 yards out. Davis flicked a header off the top of the crossbar with 14 minutes remaining, but this Chelsea backline wasn't to be breached. It is now nearly seven hours since they conceded a goal in the Premier League, this latest victory an assertion of their title credntials.